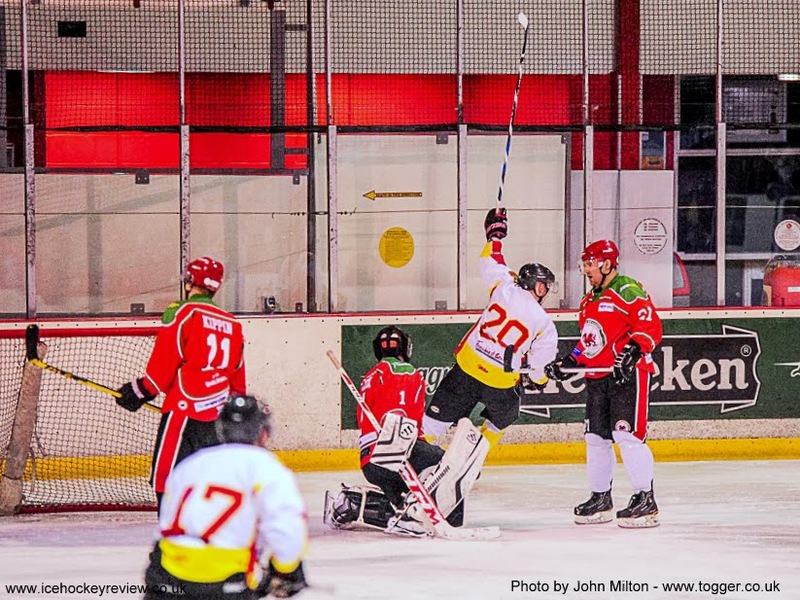 Blackburn Eagles took only their 3rd point of the season from a close fought 3-3 draw at home to second place Deeside Dragons. The result leaves Deeside 4 points behind Laidler Conference leaders Solihull Barons with just 3 games left to play. The Barons only need 3 points from their 5 remaining games to secure the title.